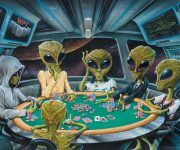 Sometimes, one card can change everything. 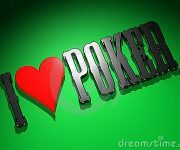 If Moneymaker doesn’t hit this river card it’s highly unlikely that he would have gone on to win the Main Event. 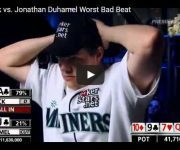 His chip stack would have been severely depleted and the best player in the tournament would have had fresh ammunition to run over the final table. 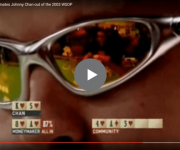 It’s fun to wonder what would have happened if Ivey had gone on to win the 2003 Main Event. 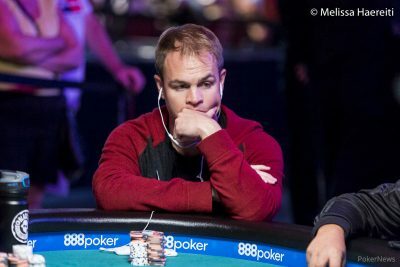 Moneymaker winning as a total amateur turned out to spark a huge poker boom. 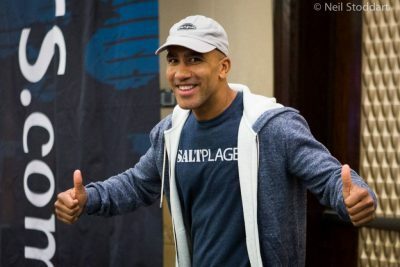 But Ivey has turned out to be one of the most popular icons in poker, so maybe his win would have accomplished the same spike in worldwide poker interest. 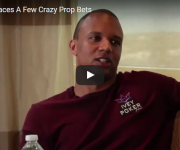 Putting aside all the ‘What ifs’ about Phil Ivey or some other name pro winning the 2003 Main Event, Moneymaker is the man who actually started the poker boom in real life. 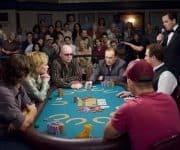 2003 was the first year that hole card cameras were used on the television broadcast of the Main Event, and this fact combined with a total ‘every man’ amateur winning the event, catapulted poker into the mainstream. 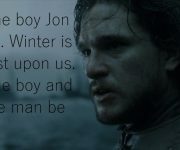 Oh, the heartbreak. 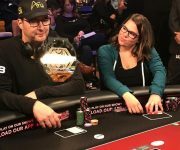 Affleck was one card away from being the massive chip leader with 15 players left and essentially guaranteeing himself a final table spot and millions of dollars. 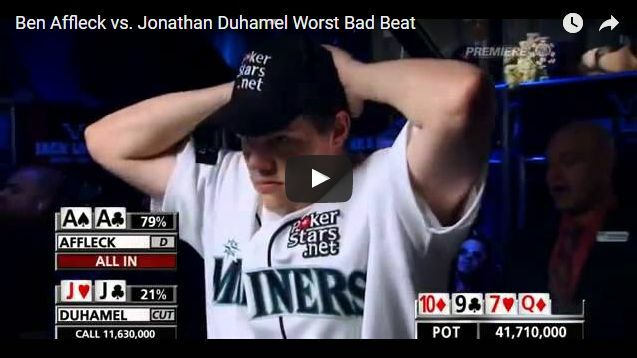 Duhamel was one card away from a WSOP blow-up that would have haunted him forever. 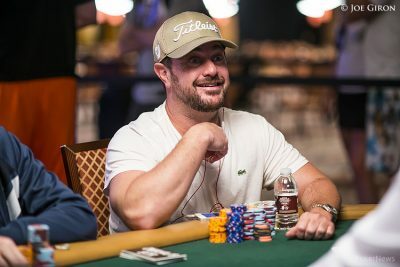 Instead, Duhamel hits the miracle river, goes on to win over $8million and earns his place in poker history as WSOP Main Event champion, while Affleck is out in 15th for $500k. What a swing of destiny! I hate this hand so much. The cringe factor is off the charts. 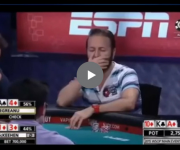 These are two horrible poker players butchering a hand on the biggest stage in poker. Yang’s play is suicidal with pocket jacks in this spot, it’s obvious that Childs has a big hand and there is just no reason to inflate the pot like this. He’s not turning his hand into a bluff, he truly thinks he’s value betting, which is insane. 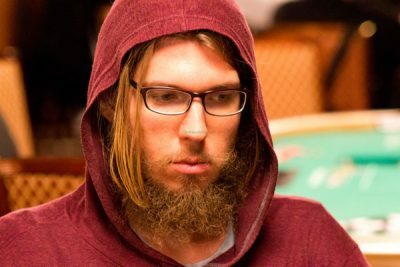 He gets impossibly lucky (as he did all tournament) and Childs makes the worst fold in WSOP final table history. What’s even worse is that he shows his hand and goes on to beg Yang for information, like a stray dog begging for scraps of food. Everything about it is pathetic. Anyway, the swing is huge as Yang would have been eliminated in 9th place had Childs made the call. 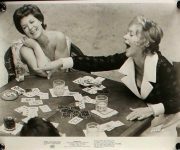 Instead, he went on to win the whole tournament and forever diminish the prestige of the title ‘World Series of Poker Champion’. 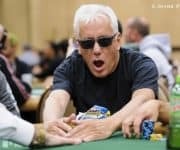 This terrible bluff by Darvin Moon had an impact on two WSOP records. 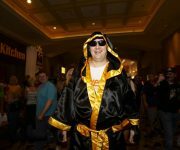 First, it set the stage for Cada to win the tournament and become the youngest Main Event champion of all time. 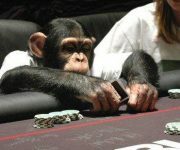 And second it assured that Jerry Yang’s title of ‘worst player to win the WSOP Main Event’ would stay put.